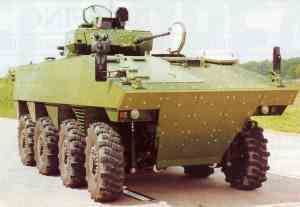 The standard infantry combat vehicle (ICV) of the French Army is the Giat Industries full-tracked AMX-1 OP. 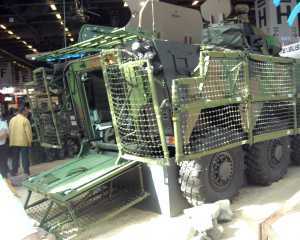 This will eventually be replaced by the new Giat Industries wheeled VBCI (Vehicule Blinde de Combat d'lnfanterie). 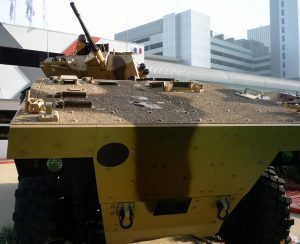 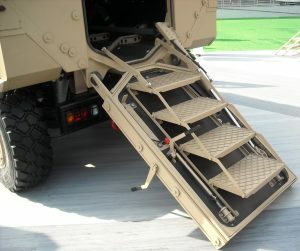 The French Army has a total requirement for 700 VBCIs in two versions: 550 in the ICV configuration and 150 in the command post (CP) variant. 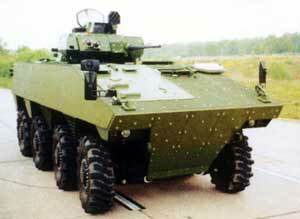 The latter will be fitted with a 12.7mm machine gun cupola and will boast extensive communications equipment. 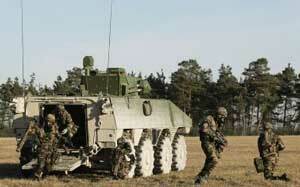 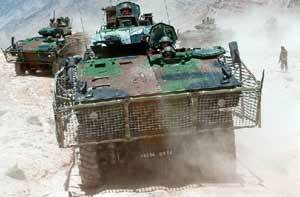 Other versions are expected to be developed in the future, including anti-tank, missile carrier and engineer. 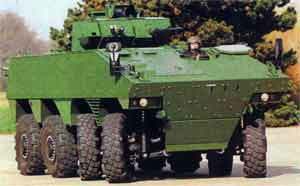 A total of five prototypes are being built-four ICV and one CP; the first of these was completed early in 2004. 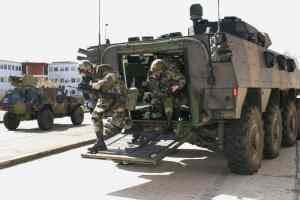 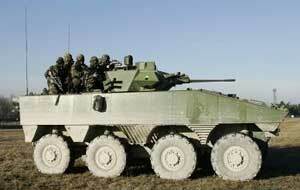 The initial French Army contract covers 54 ICV and 11CP vehicles. 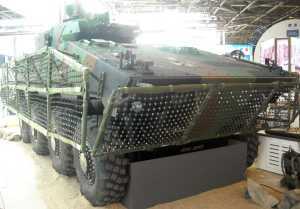 Quantity production of these will be undertaken at Roanne, with first deliveries expected in 2008. 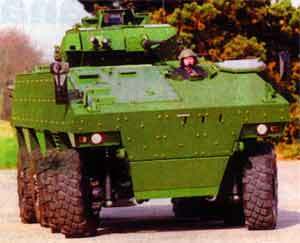 Once full production is underway, 100 vehicles should be completed each year. 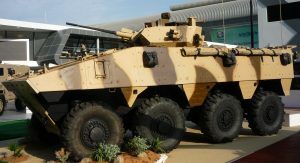 While Giat Industries is the overall prime contractor and systems integrator, Renault Trucks Defense is responsible for the automotive aspects of the vehicle, including power pack, driveline and running gear. 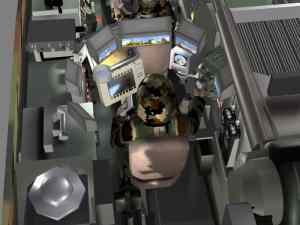 The VBCI's hull is of all-welded aluminium with an additional layer of titanium armour for extra protection. 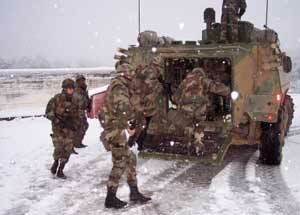 The crew of three consists of the vehicle commander (who dismounts with the seven troops), gunner and driver. 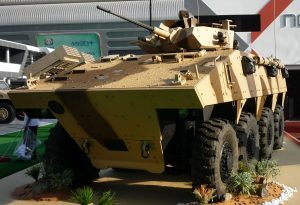 Mounted on the roof on the right side is the latest Giat Industries Dragar turret armed with a stabilised 25mm M811 dual-feed cannon and 7.62mm coaxial machine gun. 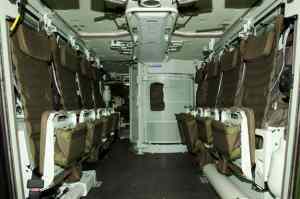 This can also be laid onto the target by the commander, who is supplied with a complete observation suite. 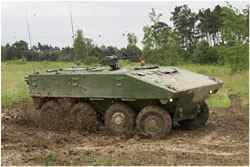 Standard equipment will include elements of a defensive aids suite, powered steering, a central tyre-pressure inflation system, battle-management system, air-conditioning and a nuclear, biological and chemical defensive system.